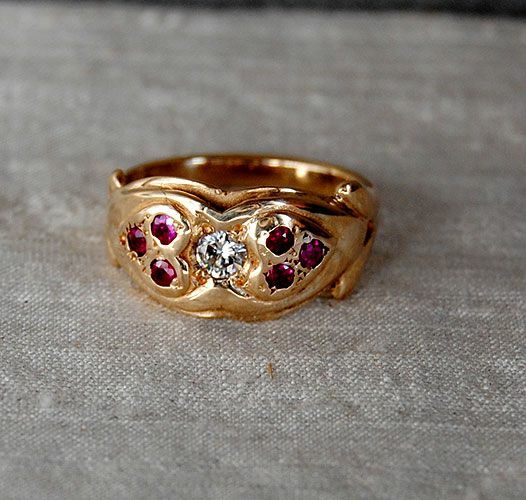 Premium quality natural untreated Burmese rubies are flush set into two hearts with a central diamond. 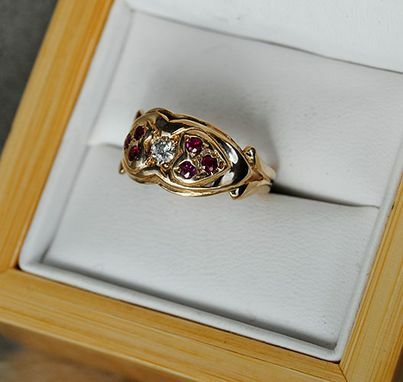 Fabricated by me personally, from scratch, the ring is an original design, hallmarked "Ricco" with maker's mark stylized R and metal quality 14K. 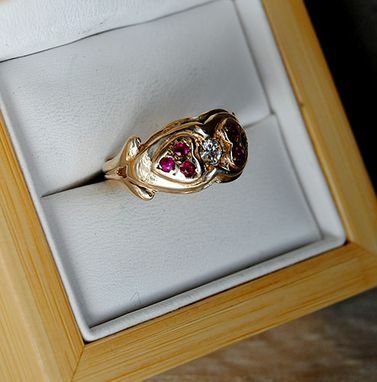 The ring comes in a quality presentation box with a Certificate of Authenticity guaranteeing materials to be as stated.